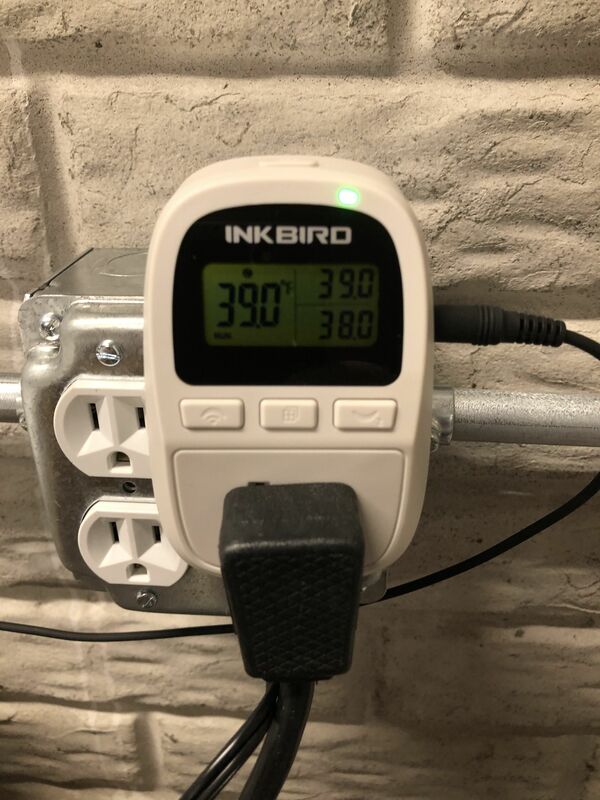 I’ve used an Inkbird Dual Stage Temperature Controller, model ITC-308 for years on my fermentation deep freeze and have loved it. Check out my Hands on Review of that game-changing controller. 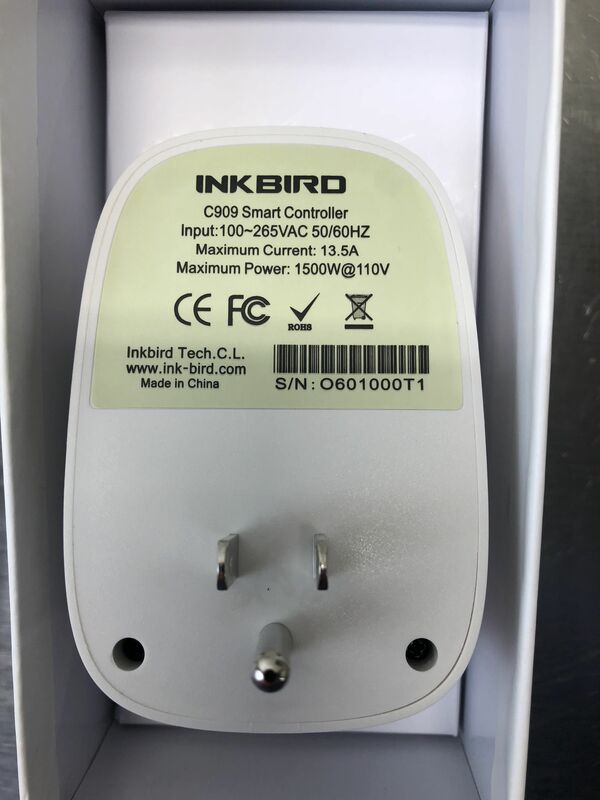 As part of a move and a resulting kegerator update and refresh, I decided to replace my old temp controller (from a now defunct manufacturer) and ended up settling on Inkbird’s single stage C909. 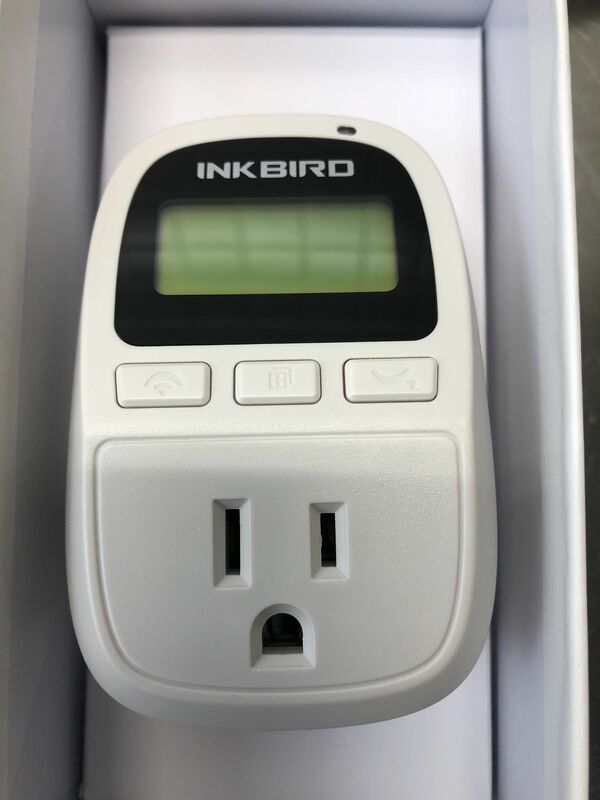 That model was attractive because I’ve been extremely happy with Inkbird’s gear and I really like the fact that it plugs directly into an AC socket. The wall I now have my kegerator on has no studs to mount a controller. Because this is an Outlet Thermostat, the C909 solves that. Note that the C909 is a swiss army knife of sorts, it has several different modes of operation including – timer, temperature controller, humidity sensor and cooking thermometer. The C909 recognizes which probe type is plugged in (defaults to timer mode with no probe) and automatically switches to that mode. For this review, I will be discussing the temperature control mode only. Why Use an Over-Riding Temperature Controller? Refrigerators and chest freezers are designed to do particular tasks. 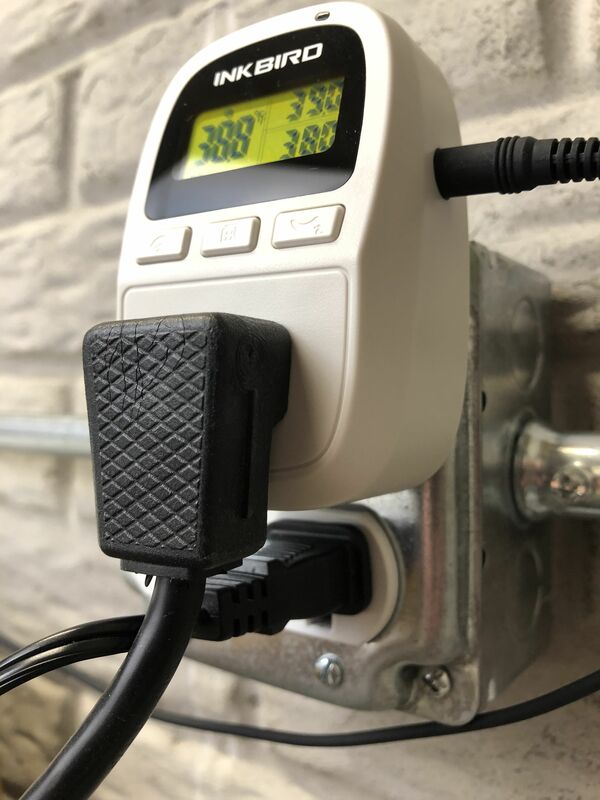 As homebrewers, fermenters and home kegerator owners, we are asking these devices to do slightly different things and operate in different temperature ranges than built in thermostats allow for. 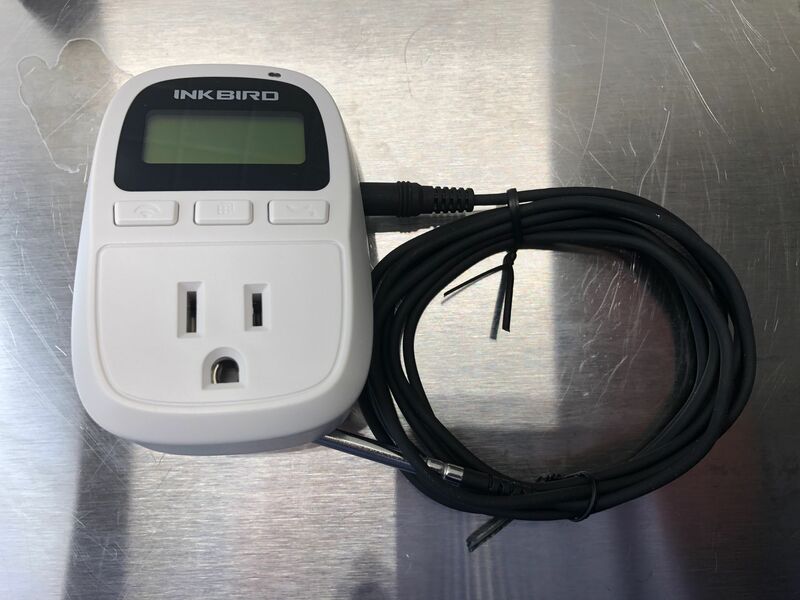 Over-riding temp controllers cycle power on and off to give you more fine tuned control. 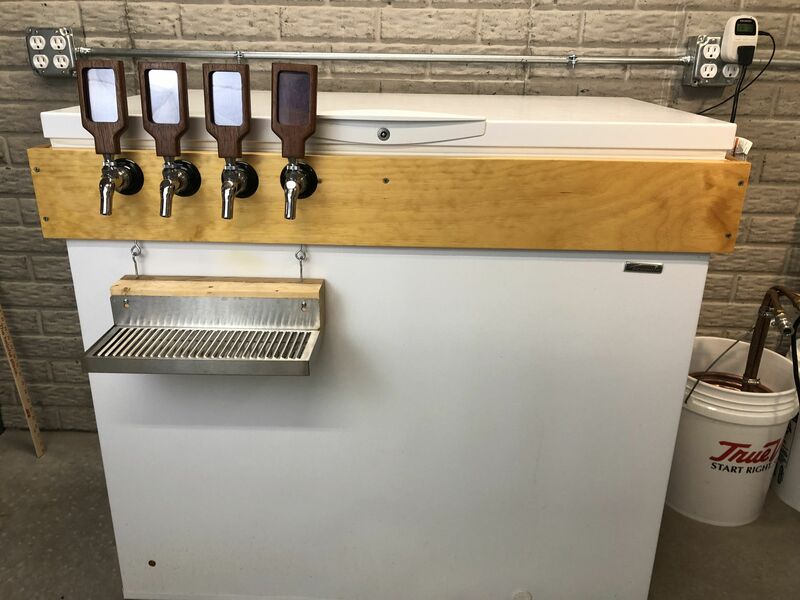 This allows you to convert a chest freezer into a kegerator or fermentation chamber. Front of the box. Nice packaging, not a lot of info on the front of the box. Front of the unit. LCD screen. Operation light (top right). Three menu buttons and power plug receptacle. Temperature probe. The wire and probe look and feel well built. Probe plugged into the unit. Note: This action causes this multifunction device to switch into temp controller mode. Plugged into the wall. Note that there is room for a plug to utilize the space below the controller. My kegerator. The C909 is on the right side. The temperature probe is on the far left of the kegerator. 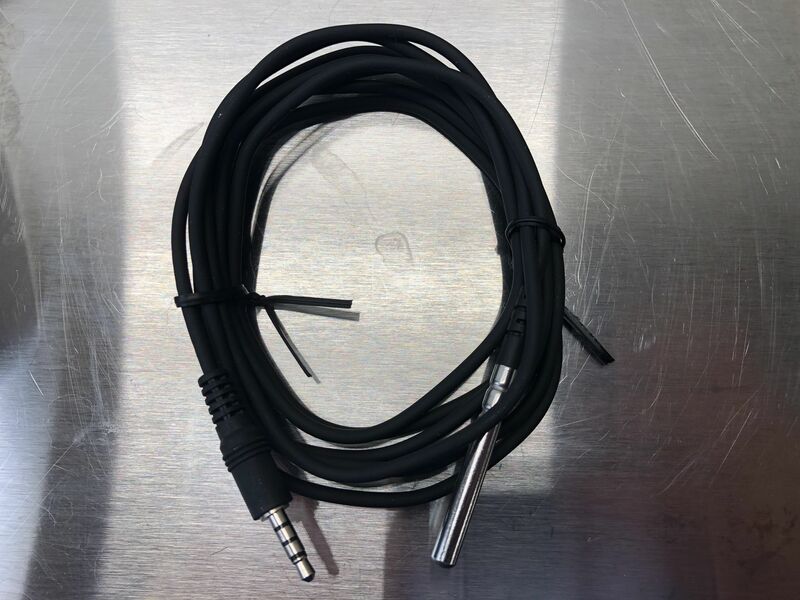 This nice long 6.56′ probe cable. 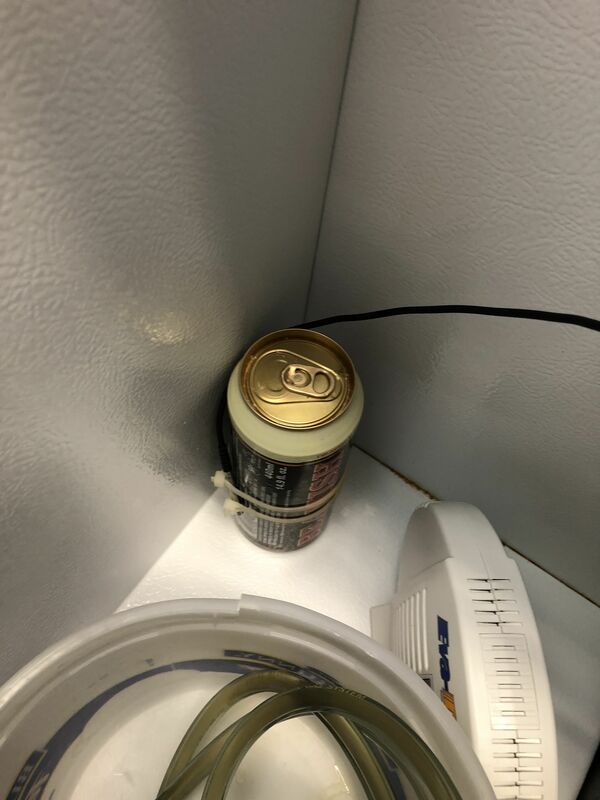 Plugged in and controlling my kegerator like a champ. In cooling mode this displays the current temperature on the left and the high and low thresholds on the right. Note the green light on the top right corner. That signals the the unit is currently powering my freezer and calling for cooling. High and lower thresholds. The C909 works slightly different compared to other temp controllers I’m familiar with. Typically, you set target temperature and that’s it. Another setting (sometimes called the differential or offset value) is set that tells the controller how close to keep the temperature to the set point. Example: Controller set to 40 degrees, Offset set to 3 degrees, Temp Controller kicks on at 43 degrees. With the C909 you set the upper and lower boundaries on your own. I really like that and think it’s more straightforward.. Heating or Cooling. This can trigger a heating or cooling device. A compressor delay function is included. That’s important because it keeps the controller from kicking on and off too quickly and helps to protect your fridge or freezer’s compressor. 1,500 Watt output should be suitable for most homebrew applications. This is a feature packed temperature controller that’s well thought out. The fact that it does not need mounted is a great benefit. This single stage controller is well suited for most kegerator or keezer applications as most of the time, heating is not required. If you’re looking for a dual stage controller, consider Inkbird’s Itc-308 – Hands on Review. 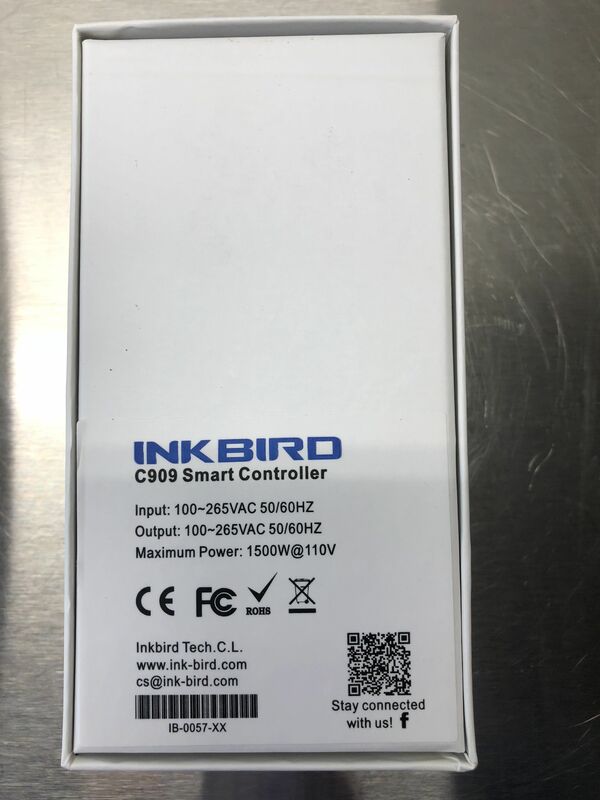 The C909 is another great controller from Inkbird. This entry was posted in Amazon, Draft, Featured Reviews, Fermentation, HBF Tested, Inkbird, Reviews, Reviews & Top Posts, Temp Control on November 29, 2017 by admin. Do you still use this as a keezer controller? I’m thinking about switching to the C929, I’m just wondering about protecting my keezer. 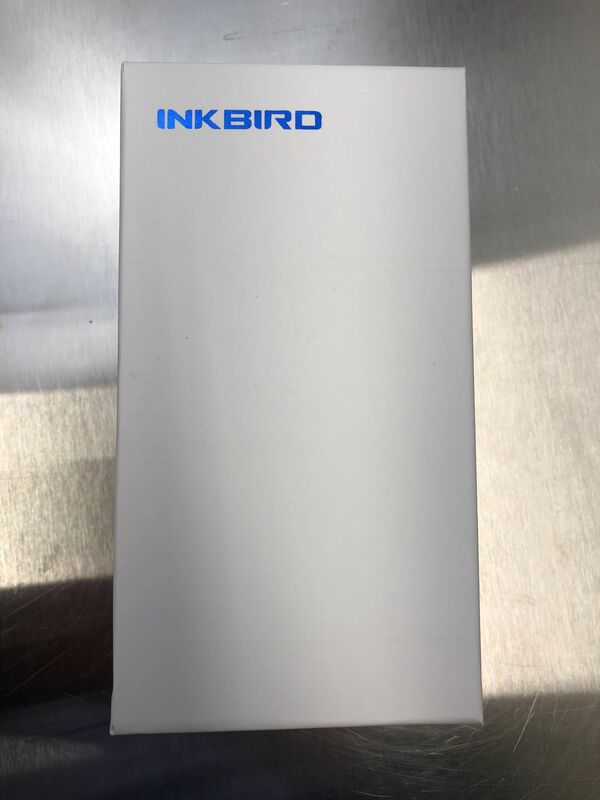 I currently use the Inkbird ITC-308. Yep, I sure do. What do you mean by protecting? Anti-short cycle delay?